If you ever had the chance to read the original Zomboy from the late 1990’s by Thomas Florimonte, this is no relation to the original idea. The original Zomboy was more of a Casper the ghost like character who got to party it up on the beach with bikini clad chicks and didn’t understand why people freaked out around him. The new Zomboy by Christian Rubiano is a complete take on science gone wrong, with a project to turn people into zombies. We do not find out the purpose of turning people into zombies, but right away we know that all is not well in science land. Yes this is a science run amok kind of comic book that reads well and gets to the root of the issues very quickly. See our friend Zomboy is stuck in a box, with evil scientists running their evil experiments, but there is a streak of humanity in the German doctor who has befriended Zomboy. So here you a Zombie in a cage and they keep on showing you tasty things to eat, you are going to get a bit stressed. 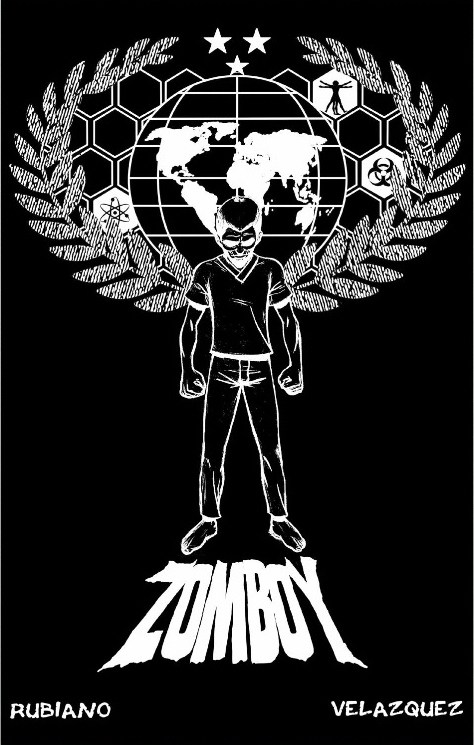 So Zomboy starts taking it out on the scientists, which is pretty much so to be expected. You are hungry they keep on showing you tasty treats on the monitor, and trying to take blood samples from you. 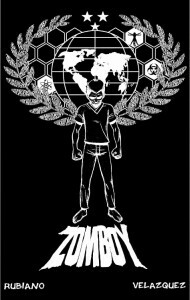 So Zomboy starts attacking scientists until the good doctor shows up and tells Zomboy not to talk to the other scientists. We get ready for the big escape, and much like Frankenstein, we know how this story is going to go from here. Again this story is going to be nothing like the original Zomboy from 1996. Overall this would be a worthy comic book to pick up and read. The story line is well thought out; the characters are well developed initially within the confines of what they are doing. Good and evil are black and white; it is easy to understand what is happening in the story. It is a worthy comic book that is not going to take much time to read. If you were thinking this was going to be like the original Zomboy, then this is not the comic book for you. 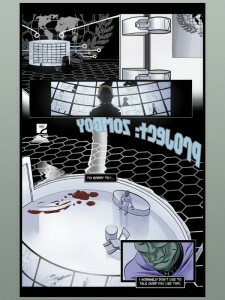 If you like good psychological zombie thrillers, then this is the comic book for you to pick up and read. Right now the only place we have seen this is on Graphicly, so you will need to trot on over there to pick up the review copy if you want to read it for free. Worth checking out and reading, would love to see more on this story line.